A dispute over funding for the state’s 911 call centers spilled into public Monday, with leaders sparring in the media about whether the state intends to continue handling emergency calls. The Vermont Enhanced 9-1-1 Board warned in a press release Monday morning that the state Department of Public Safety plans to cease answering 911 calls at its two public safety answering points as of July 1, 2017. But it does appear that the state has been considering getting out of the call-taking business, a move that’s drawing concern from the 911 board and the state employees’ union. In a March email exchange between board chair Gary Taylor and Public Safety Deputy Commissioner Joe Flynn — which the 911 board released Monday — Flynn acknowledged that. The conversation came after the 911 board informed the Department of Public Safety that it would be cutting its funding by $90,000 a year. Funding is based on the number of call-answering desks the state provides. 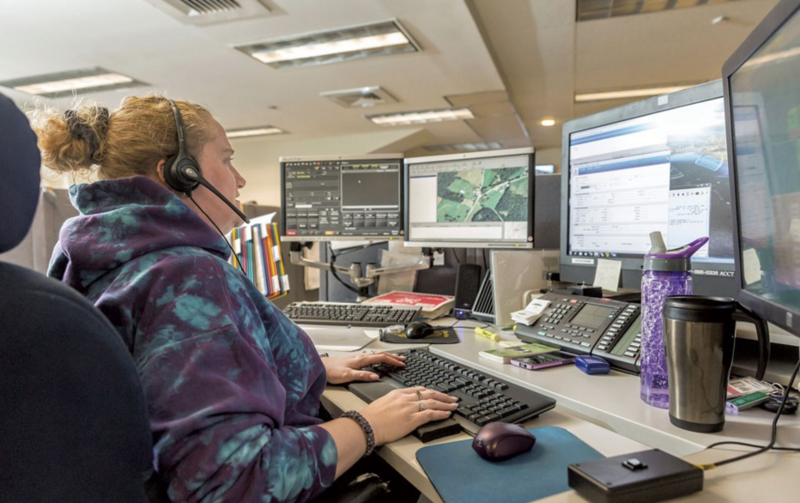 Last year, when the state consolidated its four public safety answering points to two, it also reduced the number of call-answering desks by two, resulting in the $90,000 funding cut, said Barb Neal, executive director of the Enhanced 9-1-1 Board. Flynn said the funding formula is flawed because the state is still handling the same call volume. “The formula should reflect the call volume,” he said. The state’s two public safety answering points handle about 75 percent of the 911 calls in Vermont. Four locally operated centers — in Shelburne, St. Albans, Hartford and Hyde Park — handle the rest. Regardless of what happens, Flynn said, no changes to the way 911 calls are handled would be made without a replacement plan in place. “We would not unilaterally get out of the business without there being another option,” he said. He and other state officials said they hadn’t signed off on the idea , nor had Gov. Peter Shumlin been briefed on it. Neal said board members interpreted Flynn’s email response as a final decision. The board held an emergency meeting March 28 to discuss the issue, she said. Though the meeting minutes suggest that no conclusion was reached and that the board would continue the discussion at its April meeting, Neal said the group also decided to issue a press release alerting the public to the state’s plans.